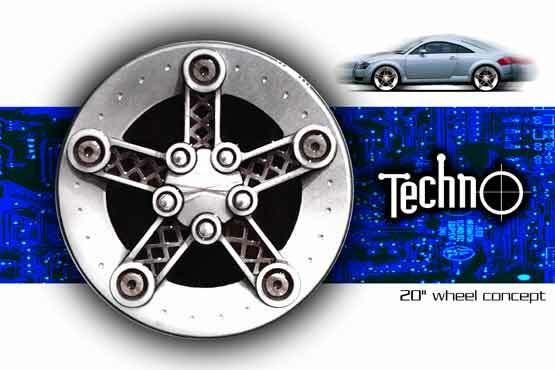 Here's a sample automotive aftermarket custom wheel design from my portfolio. Click here to see other automotive projects I've designed. 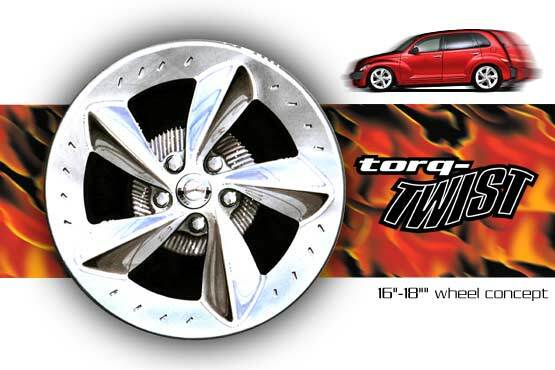 These are concept renderings of some aftermarket wheels I designed for a client. The wheels themselves were rendered traditionally with marker and pastels and then scanned into the computer. The background images were created in Photoshop.